Thanks to Rob Maloof and his visit to Mount Calvary School this week, we have some new photos from inside and out. Hope you enjoy them and we will see you tomorrow, June 12, 2016 at the special 10:30 Mass to Honor the Students and Mount School for its long and honorable service through providing high academic curricula and strong spiritual, community, and citizenship values to thousands of children who passed through its doors on their ways to successful and fulfilling lives. The high volume of positive comments and posts about everlasting memories are a testament to its 66 years in existence. We truly will miss its demise, but will always cherish our memories of the family and friends we came to be. It’s very inspiring to see the number of comments and articles by others due to the word of mouth about Mount Calvary’s closing. Here’s another, this time, written by former student John Nagy, who is now Editor of The Pilot, out of Moore County, NC. The School of My Youth: Can It Really Be Closing? Since this post, Mount Calvary has added a Farewell Mass and Reception Event to be held Sunday, June 12. Please check it out at the link above. On Monday, April 18, 2016, Superintendent of Catholic Schools for the Archdiocese of Washington, Mr. Bill Ryan; Mt. Calvary Pastor Father Everett Pearson, and Mt. Calvary School Principal Mrs. Darcy Tomko held a community meeting for students and their parents to announce the permanent closing of Mt. Calvary School at the end of the 2015-16 school year citing “enrollment and deficit concerns.” On Tuesday, April 19, 2016, Marco J. Clarke, President and CEO of Bishop McNamara High School publicized the closing announcement on its website. Next came a flurry of messages, remembrances, and discussions among the nearly 1,000 Mount Calvary parents and alumni who are members of the Mt. 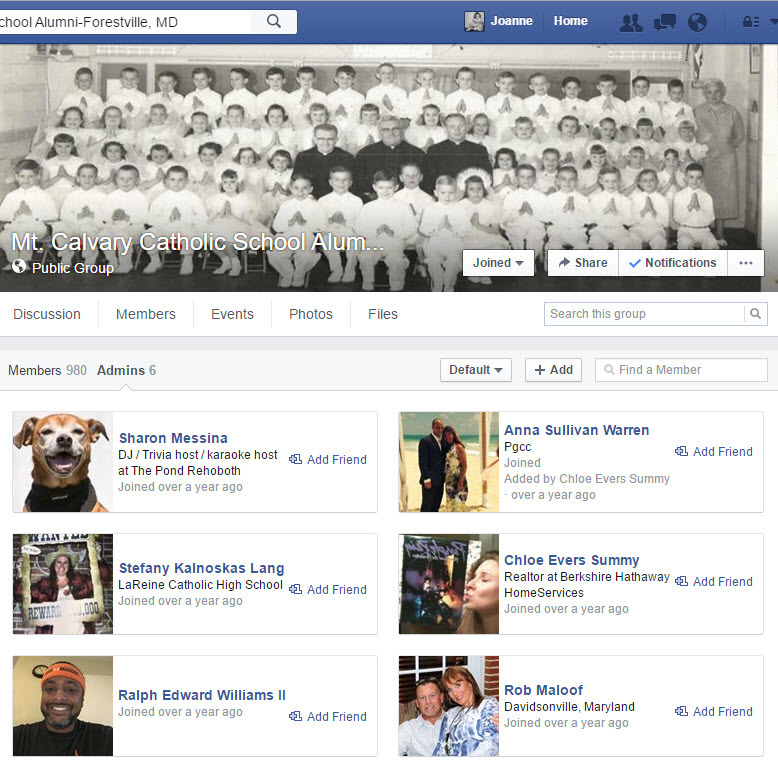 Calvary Catholic School Alumni-Forestville, MD Facebook Public Group, (of which I am a member). The very first moment I learned of MCS’s closure I felt compelled to blog about a school and church community that had been such a big part of so many family’s lives. My husband graduated from there in 1958. Bob most remembers Sr. Bernadette from 1957. She was short but feisty. He says: “Boys being boys, we used to torment her and when the boys would “get her goat,” she would scream, “you damn boys.” On one occasion her false teeth fell out, hit a student’s desk, and then hit the floor and the whole classroom erupted in laughter. The teen drama club played a big part in his life and from the mid-1970’s until the early 1990’s our three children attended the school and we attended the church, participated in and volunteered in the Teen Club and CYO sports programs, fundraisers, drama club, etc. And when laid off from the printing industry one year, Bob worked in the school as part of its maintenance crew. My parents were church members, too, and my brothers and sons were altar boys. Individual families with school-aged children did life together as one large family there for the betterment of their community and individual families. Just a few of the family names that stick out in our minds as involved community leaders: Mammano, Piazza, Mazzullo (all with their fair share of children), Antonio, Mundell, Dusseau, Butler, Palmer, Arena, Breslin, Vespoint–and so many more that I apologize to those whose names I may have inadvertently omitted. As evidenced as you read through this post, many who attended Mt. Calvary will always remember and be grateful to the faculty and staff who cared for and taught them or their children–even several decades later the impressions, situations, and names stay firmly embedded in their hearts and brains. Mount Calvary School before 1961 when the “New” Church was built. Upon its opening, it had eight classrooms, a principal’s office, a health center, and a large “multi-purpose” room on the upper level that became known as “The Blue Room.” The blue room was the place on inclement weather days where students would gather for recess. In the basement was a similar multi-purpose room called “The Lower Hall.” While construction was underway for the “New” church–both rooms were soon used as temporary spaces for masses on Sundays and holy days. Due to a rapidly growing and overflowing church community, both auditoriums had standing room only at staggered mass times. The new church was opened in 1959. Later, the lower hall was used for special events and weekly bingo games. 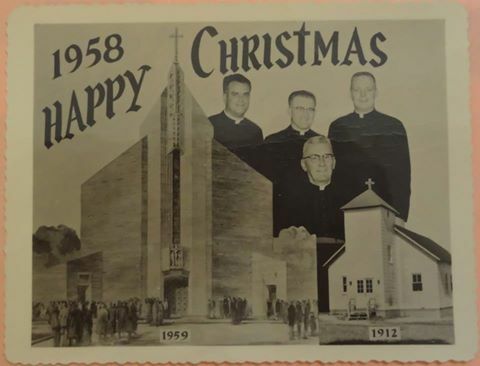 The overcrowding at masses required men of the church to direct traffic in and out of the parking lot and parking spaces to and from Marlboro Pike. In the late 1960’s Mount Calvary’s parish was split into three parishes requiring the building of Saint Bernadine’s in Suitland and Holy Spirit on Ritchie Road in Forestville. Mount Calvary School was the first construction on the future campus that housed the church, school, rectory, convent and Bishop McNamara High School next door. The original and first Catholic Church in Forestville–a frame church that was painted white and built in 1912. The “Little White Church” was located to the left and just behind today’s rectory. The Little White Church was used as classroom space that included a 4th grade male only classroom (known as the Boy’s Academy), Boy Scout meetings, music lessons, and teen club gatherings. It was accidentally set afire by careless smokers and burned down in the 1970’s. 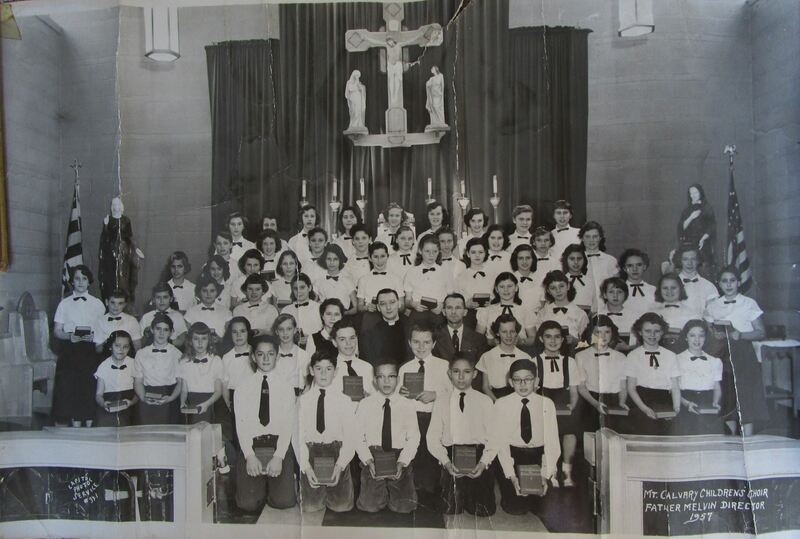 School Choir, inside the Little White Church, 1957. 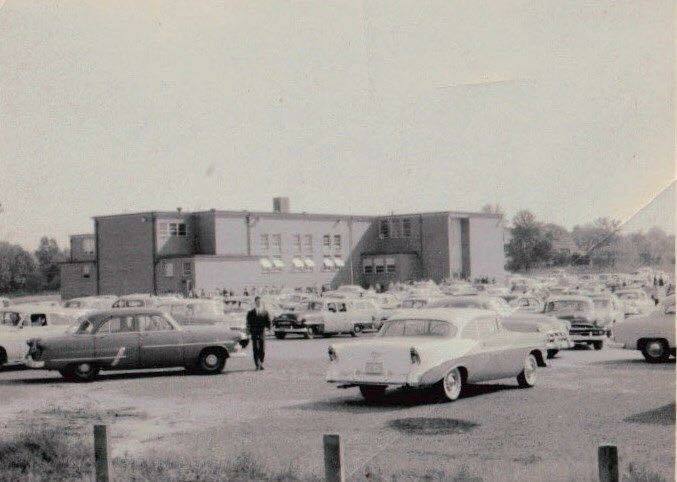 Bishop McNamara High School for boys opened its doors for the school year 1964-65. It converted to a coed school in 1992 when neighboring La Reine Catholic High School for girls in Suitland closed its doors. 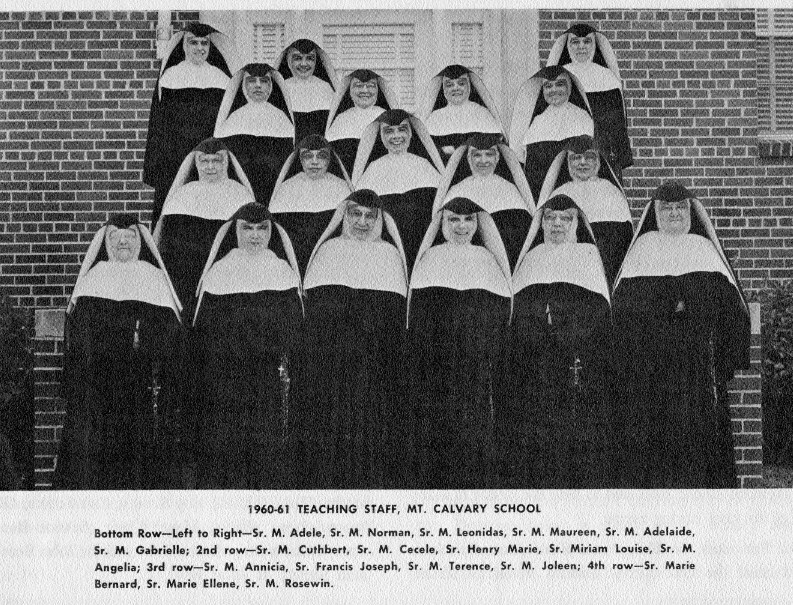 In 1961, MCS’s peak school population included 19 sisters who ministered to 1,601 students. Most of Mount Calvary’s alumni testify that in spite of having 90 students in a classroom, they received an “Excellent” education. I just can’t fathom the odds against excellence with that many faculty, students, and personalities together all day in what many would consider a small school. Surely God was busily at work there, too. Today, Mount Calvary’s enrollment is a mere 155 students and it serves a vastly different student population that it did at its beginnings 67 years ago. Only one-third of the student body is Catholic and 99 percent are African-American. (These demographic changes over the past six decades are representative of the local Prince George’s County community.) The all-lay faculty and staff today includes 8 full-time teachers, a full-time Technology Coordinator/Resource Aide, and part-time teachers in the following areas: Art, Music, Physical Education and Spanish. The support staff includes two Instructional Aides, a Receptionist, and a Tuition Bookkeeper. The administration consists of the Pastor, the Principal and the Assistant Principal who also serves as the parish Director of Religious Education and the Director of the school’s Extended Care Program. Beginning in the mid-1970’s, many of our families (senior parents and their children alike) migrated further south to counties such as Anne Arundel, Calvert, Charles, and St. Mary’s. As for my parents, they are frail at ages 87 and 88 but insist on living independently (well–semi-independent) in their home in Berkshire that our family moved into in October 1960, 56 years ago. 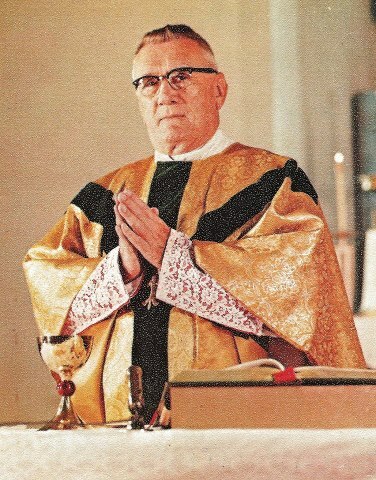 Reverend Monsignor Peter Paul Rakowski (1897-1982), (Msgr Pete, as he was called), served as Pastor of Mt. Calvary Church from 1942 and was Pastor Emeritus at the time of his death on March 4, 1982. 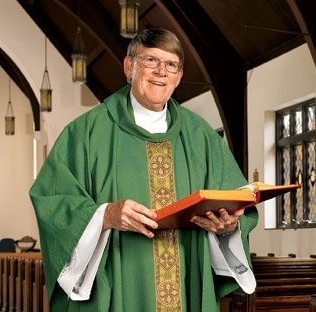 When he first became Pastor, he lived with the elderly sisters who owned the house and the property where Bishop McNamara High School now stands. He used to say the sisters were shocked because he took a bath once a week. (Apparently, something about the bathing standards in those days.) It was his wish to be buried at his home where he had lived and worked the majority of his life, and so he was. Just behind the rectory on the land where the “Little White Church” had once stood. There, a prayer garden was also built in his honor. Fr. Pete was the leader of progress and excellence for the church and the school for 40 years–longer than any other priest who had resided there. Everyone loved him and his storytelling (for which he was also known). In May 1973, 50th years after his ordination as a priest, our parish family and honored guests celebrated with him at his Anniversary Jubilee. This was one of the biggest and most festive events our family recalls. Msgr. Pete loved to brag about his school and its student population. He also worked with financially struggling parishioners to define payment plans to help them pay for their children’s school tuitions. Angie Lambert Hamm posted on April 21, 2016: “I graduated in 1967. I’m wondering if the discipline changed once the nuns were no longer there. Who remembers the hand slaps with the wooden paddle for not doing homework or worse? Spankings were a normal punishment; chewing gum was stuck on our noses; and, the “milkshake” events!! If these things took place in today’s schools, the nuns would have been jailed!! No wonder they could teach 60+ kids in small classrooms!! Sister immediately turned back into our classroom and began to set up the classroom television that was on a tall stand with wheels – we always had to adjust the antenna to get the reception right. We all began watching Walter Cronkite talk us through the reports filtering out of Parkland Hospital in Dallas. I remember Sister started to cry and asked that we begin to recite the rosary. Soon the principal, Sister Gabrielle, announced over the “loud speaker” that local government officials were declaring a state of emergency and were asking that students be dismissed from school and return to their homes as soon as possible. 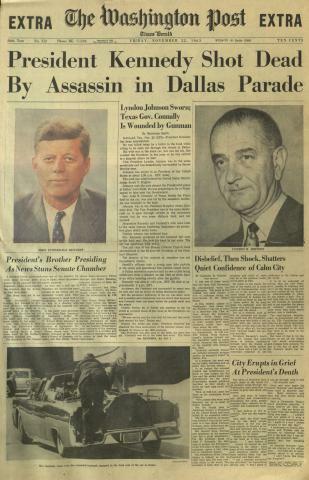 I remember walking home with my brother and we saw police and military vehicles beginning to take up positions at intersections along Pennsylvania Avenue (which extended out into Prince George’s County toward nearby Andrews Air Force Base – the destination of Air Force 1 with the body of John Kennedy). Then, we saw our mother walking toward us. We could clearly see that she had been crying. She took us by our hands and we walked quietly home together. Schools were closed for about a week and everyone remained solemn and watched the news and events unfold as they happened. MCS kids consistently scored high on the various tests used to measure scholastic excellence. Its curriculum and community life standards were very high–so much higher than the public schools that many non-catholic families started enrolling their children at Mt. Calvary. And, MCS students regularly outscored other archdiocesan schools on their high school entrance exams. Much of the student’s comprehensive knowledge, retention, and test-taking skills can be attributed to the full-time teachers and committed staff and volunteers who worked with students after school and in the evenings, especially Mrs. Mary Cronin (1920-2011), who taught 20 years at Mt. Calvary (1966-1986) until she retired to Heritage Harbor in Annapolis, MD. Mrs. Heron taught math all day and then with Mr. Larry O’Callaghan, tutored the advanced math teams for many, many years. Sister Elizabeth Sokel was the school’s principal when our children began there in 1974. She always has been a great person and our kids tell us that she ran a tight ship. By the time our eldest son graduated 8th grade in 1980, Mr. Bill Clancy was Principal. 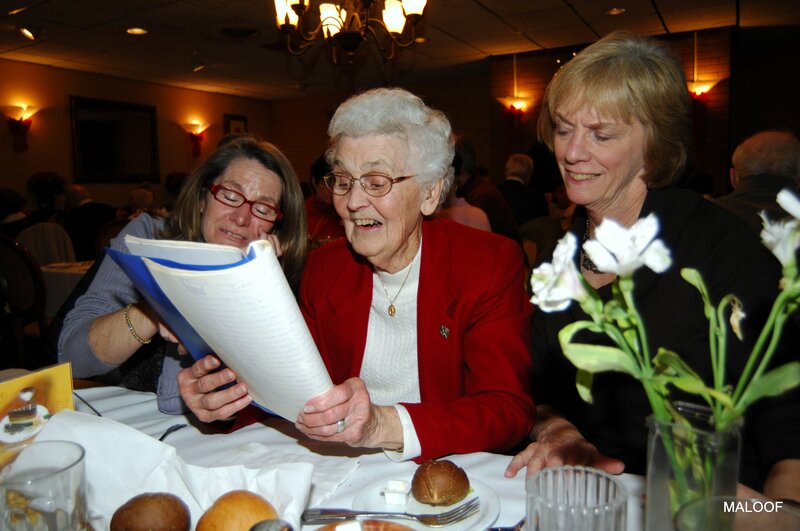 Center in this 2010 picture, Sr. Elizabeth is with Jane Perham, left, and Carole Page, right. In 1989, former student Scott Gielda wrote and produced a very successful musical “Looking Back on Broadway,” whose cast sang and danced their way in the Blue Room to a three-times packed auditorium in mid-October. The performers, musicians and stage crew were alumni–young and older, a couple of staff, family members, and friends (Frank Antonio, Mary Mundell Boyce, Bob Dickinson, Kat Butler, Scott Gielda, Connie Germaine, Rob Isley, Jennifer Dickinson McDaniel, Joe Morrison, David Neale, Lloyd Unzel his daughter Erin Unzel Williams, and Glenn White). David Neale passed away on May 22, 2011. David’s performances as Skimbleshanks–The Railway Cat from the Broadway Play “Cats” embodied Skimbleshanks as played by some of the best broadway performers. David was a graduate of Dematha High School and Brown University, founder of Black Lavender Resources, and co-founder and editor-in-chief of Black LGBT Art Report. and growing community needs. He relishes his role in marshaling resources: “Everything I’ve done has been in preparation for this job. I want to be a change agent for people whose lives are a daily struggle for food,shelter, and clothing.” And, this was the Fr. 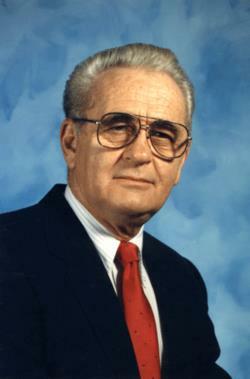 John Enzler that our family knew when he was pastor at Mt. Calvary. My daughter Jen and I served on a small team of parishioners who were concerned about drug and alcoholism in our families and neighbors. We worked to raise awareness about drug and alcoholism and partnered with other religious ministries to help combat these issues. Monsignor Michael di Teccia Farina, (Age 86) passed away after a brief illness on February 10, 2010. As he remarked during his last illness, “I have lived a rich life.” When asked why he chose to minister in the Nation’s Capital, Fr. 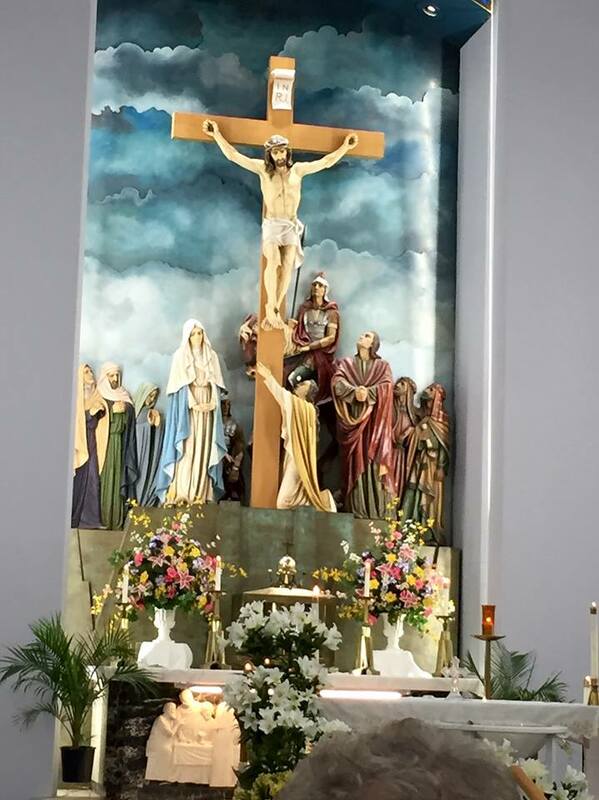 Farina quipped, “Well, that’s where all the sinners are.” Father Farina is fondly remembered by parishioners from Holy Family Parish, Hillcrest Heights, as well as St. Thomas Apostle in Washington. In 1966 he was named the founding pastor of Holy Spirit Parish, Forestville, Md., where he built the present church. He became pastor of Mt. Calvary in 1974. While at Mt. Calvary he spearheaded a cookbook fundraiser because of his love of cooking–“one of the fine arts,” as he was known to say. For all his accomplishments, he earned the title of monsignor in 1984. We had to carry their own lunches to school because Mt. Calvary didn’t prepare or sell them. Although once a month special Hot dog luncheons were offered. We would scoff them up because the smell of them cooking was “to die for” and this once-a-month at-school treat made them taste the very best! First Fridays were Krispy Kreme donut days. Free dress day was another fun time. Occasionally, students could wear regular clothes instead of their uniforms. Mom didn’t know this until now, but I would sneak into her closet and “borrow” high heels. I would put them in my book bag and when I arrived before school started I would switch shoes. My very first job was selling school supplies out of the little closet outside of the girls’ lower level bathroom. Morning recess was 10:10-10:30 and a buzzer, not a bell, sounded to let us know when recess started and was ending. Thing is, this buzzer even during summer months when school was not in session buzzed at 10:10 and 10:30. On the upper level of the school, students were privileged to carry and ring the bell to indicate class changes. I was so excited the day it was my turn. In fifth grade, girls got to switch from jumpers to skirts. Peggy Guy shared this picture on August 26, 2012. My sister Mary Lou Bradburn Morawski! (She’s the one to the far right, with Ginger Bradburn Meissner in the center and me on the left. Looks like it’s Ginger’s very first day of school at Mt. Calvary with her “ID tag” pinned to her uniform. This picture was taken in front of our house on Insey Street in Berkshire. Oh, and, we knew just how cool we were when we advanced enough to transition from recess in the back of the school to recess in the front. We would sit along the brick wall or hang on the fence that was between McNamara and Mt. Calvary. 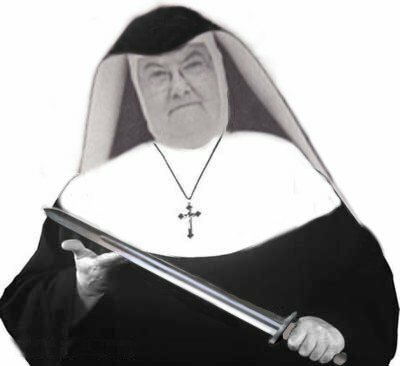 Sister Paulanna was one tough cookie. Others have talked about Sr. Paulanna threatening girls with stories about getting cancer in their bottoms if they sat on those cold and damp walls. Adelaide Keough and Carol Page selected and directed many, many, many school plays with choreography by Dottie Herbert. Mrs. Keough passed away on December 22, 2007. 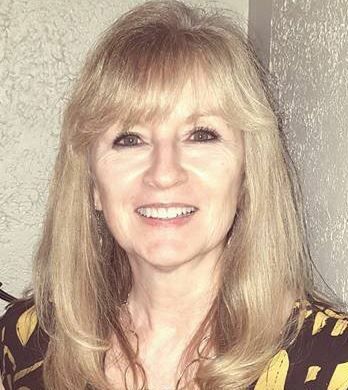 She taught for 26 years at Mt. Calvary and co-led the Drama Club.The sets and costumes were amazing, too. Dawn Woods and her husband Frank led the teen club for many years and somehow always smiled. Let’s also remember our very caring nurse for many years, Mrs. Newman. Mt. Calvary alumni Dee Butler and her sisters Pat and Kat, along with Jeni Stepanek coached girls softball and soccer. An alumni dinner dance was held in the blue room in the 90s. Brother Francis always had a coin or pouch to give away. Brother Francis Michael Sullivan, C.S.C. died on Saturday, June 9, 2012 at Archcare’s Ferncliff Nursing Home after a long illness. Brother Francis was 78 years old and was member of the Congregation of Holy Cross for 58 years. He taught in schools in New York, Massachusetts, Delaware, Maryland, and New Jersey. Mrs. Heron taught math all day and led the math club at night and you knew when she was coming down the hall by the sound of her necklaces. Mrs. Keough’s shoes made an identifying rhythm as she walked down the hall. Mrs. Dixon kept the boys in line and provided wise counsel to many. “Use only blue or black ink,” in Mrs. Pyatt’s English class–no other colors permitted. I uploaded Mrs. Pyatt’s picture from a 1995-96 class picture. November 13, 2005. He was Pastor of Mt. Calvary in this 1995-96 school year picture. Mrs. Phyllis Dennant had beautiful handwriting and kept the library in order and a fun place to get a book and begin reading. Be sure to turn your book in on time. Mr. Clancy handed out every report card and would have a chalk line on his clothes from where he leaned against the chalkboard ledge. 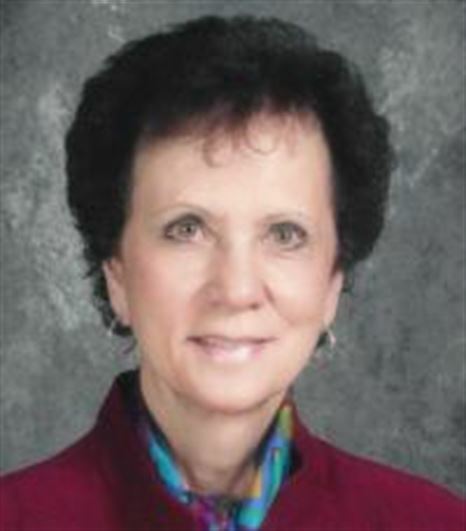 Mrs. Maryann Josephine Arena (June 25, 1942 – December 9, 2013), school office administrator, knew every student and helped keep everyone organized. Verse 1: Mount Calvary, we hold you dear. remind us of our friends and times we’ve spent. We are proud of all you represent. a symbol of our Christian love and friends in unity. in unity with the Christian light. on the road of life in everyday. of our Christian love and friends in unity. Students last day of school at Mount Calvary will be Friday, June 10. Many of us are praying that before then, we will get word of some special event(s) regarding a proper closing and farewell to a school that has provided some much to so many for so long. Some have suggested a tour of the campus, several would like to see some of the school groups reunite, Mary Mundell Boyce mentioned that it would be great to get an alumni group together to perform the school song and record it for posterity (Frank Antonio, Kevin Basiliko…Erica Boursiquot…Melissa Davey…Michelle Lamare O’Brien and hubby, Jim….list goes on…..). I believe this very well could be doable with a set date, time, and place, and I would help identify the videographer/audiographer. So much of what I have included here, I originally gleaned from members posts to this site. It’s alive and going stronger than ever–especially since the closing of Mt. Calvary School’s notice there. Meanwhile, I hope that each of you will read and share this post and take time to add your thoughts and comments here for posterity. Thanks for letting me ramble . . .
Wow, I taught 8th grade Honors English at Mount Calvary between 1983-1985. Does anyone remember Mrs. Sylvia Bennett? I named my daughter after two students: Courtney Chubb and Noelle Beale ( Kourtney Noelle Bennett, now Dr. Kourtney Noelle Bennett)! Great experience and happy memories at Mt. Calvary. Loved Mrs. Pyatt and Mrs. Arena! The Principal; Mrs. Tomko is a JOKE. She should have been fired years ago. Why did Father Pearson keep her employed? She doesn’t care about the students and staff. Combining classes ?? Terrible Decision. I know where I am sending my child. Washington, DC here we come. Does anyone know of any plans for the closing? Like Mass or something? I attended Mt. Calvary from 1952-1960, then off to Archbishop Carroll. I remember so fondly the greatest priests and nuns EVER. Msgr. Pete and the wonderful Fr. Fred Bloom were a blessing to us all. My favorite nun was and still is Sister Marie Barnard ! Sister reverted back to her “real” name, sister Mary Whelan (sp) and she stills assist people in Baltimore, Md. My brothers, sisters, neighbors, cousins all attended this wonderful school. If you grew up in the area this was the school of choice. 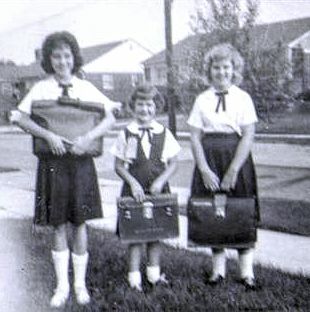 My sister Patti and I walked to school just about every day, and she would stop by the little white church on our way home, visit Sr. Bernard and get a pom-pom piece of candy. This school was so important to everyone and the debt I owe to it is something I’ll never be able to pay back. Thank you God for establishing this wonderful place and the priests and nuns, and lay teachers whom we were blessed with. We lived on Halleck St. and went across the little wooden bridge every morning to school . I and my siblings Joe,Nancy,Dave,Donna and Steve Tippett all went to Mt.Calvary. When I was in 4th grade we moved across Marlboro Pike into Berkshire. Joe also graduated in 1960. I don’t know anyone who didn’t love Fr. Pete. I remember Fr. Bloom always pulling pranks. He was in charge of the altar boys l think. Seems I remember dyed or bleached hair at one time on a lot of the boys . Some of the nuns were more beloved than others. Sr. Jolene was so young and so nice. On the other hand, Sr Leonodis was a little past retirement age. I had Sr. Francis Joseph for 7th and 8th grade. I remember her fondly with the exception of an incident involving, teased hair, bathroom sink and water. Last but not least was Sr. Gabriel. Anyone who says they weren’t afraid of her had a screw loose. My cousin Kathy says she still gets tremors to this day when she hears her name . All this aside, there is no doubt that the education we received there was outstanding. I went from Mt Calvary to LaReine where I graduated in 1966. I’m sure I didn’t appreciate it at the time, but I am truly grateful to my parents for the financial burdens they undertook to unsure that we all got an outstanding education at an outstanding school. Feeling old and sad to know that both of my schools are now gone. Joanne, we had to have know each other–either as kids or adults at Mt. Calvary. I graduated in 1965 from St. Suitland (haha). I lived in Berkshire from age 12, moved to Halleck Street where it intersects with Gateway and Foster Sts. in the 1970’s with my family, remained there until ’92. My parents still live in Berkshire. I believe Joe Tippett was on my husband Bob’s CYO soccer or baseball team??? I attended Mt. Calvary from 1954-1958 (moved to Forestville in 4th grade). I had Mrs. Dempsey (4th? ), Sister Cuthbert (5th? ), Mrs. O’Donnell (6th? ), Sister Andrea Doria 7th (until she had a nervous breakdown? ), and Sister Marie Charles in 8th grade. I went to Mackin HS from 1958-1962. Mackin has also closed down–they transferred the records to Abp. Carroll…can you imagine that–like St. John’s records going to Gonzaga?? I was the oldest of 7 kids. Mom didn’t work–mothers did not work back then. I think only the oldest 3 graduated from Mt. Calvary. Best education I could have hoped for. Good memories of life in Berkshire and attending Mt. Calvary Church and School. First Grade started in the basement of the rectory with Sr. Joleen and 72 students while we waited for our brand new classroom to be finished at the school. I graduated 8 years later with an outstanding primary education followed by four years at LaReine. Today, it would be very hard to match the level of studies we received, Monsignor Pete, Fr. Twohig, Fr. Murphy, Sr. Gabrielle, Sr. Alphonso, Sr. Joleen, Sr. Roselyn, — so much a part of our lives in our Catholic community. Also, Girl Scouts, Teen Club, all combined to prepare us for our life journey. I am truly grateful to my parents, Mt. Calvary and the community. Today, living in the South, I am reminded daily how fortunate I was and thank God for his many blessings. I grew up in Berkshire, too. You and my husband, Bob, must have attended Mt. Calvary at the same time, although he attended 7th and 8th grades there only. You captured the memories quite well Mr. Dore. Well done! I’ll just add the 5¢ soft pretzels, Father Pete’s head butting of the playground balls during recess, and the Ten Commandments endless loop movie running in the Blue Room. CHANGED TO GREEN AND GOLD COLORS (BOYS COTTON-POLYESTER PULLOVERS IN THE 1970’S. Thanks for your comments. Lovely tribute. I attended MCS all 8 years. Class of 1970. Does anyone remember the Spelling Bee held at the end of the year? All first graders participated. I still recall that Fr. Pete gave the Queen $2 and the King $3! I also recall that girls actually graduated from jumpers to skirts at 4th grade…??? What a heart breaker! Having attended St. Cecilia’s High School by traveling on the buses provided by Fr. Pete, I am feeling, as my sister, Diane, says, alma-mater-less. She is even more lost as she graduated Dumbarton College of the Holy Cross – also closed. Diane and I attended school at St. Cecilia’s on 6th and East Capitol Street via buses provided by Fr. Pete. When the school opened, she was in third grade and I was in second and we switched to Mt. Calvary. We were parishioners of St. John’s in Clinton, Maryland, because we lived on the “other” side of Allentown Road. Fr. Pete worked with my mother and gave us “in-parish” tuition which allowed all four of us to attend and graduate from Mt. Calvary. I was in sixth grade, Mrs. McDonald’s class when our younger sister started first grade. Pat wasn’t happy for several weeks and one day when Diane was out sick, Pat showed up at the door of Mrs. McDonald’s classroom. She was sobbing and looking for me. I was petrified of Mrs. McDonald at the beginning of the school year. She allowed me to leave to try and calm Pat down. I had the all important dime for that emergency phone call and I made it home to say Pat wouldn’t let me go back into the classroom. So I stayed put with her downstairs at the telephone until my Irish Grandfather came. By now Sr. Gabrielle had come to assess the situation. It was dreadful. But not as bad as it was going to get. 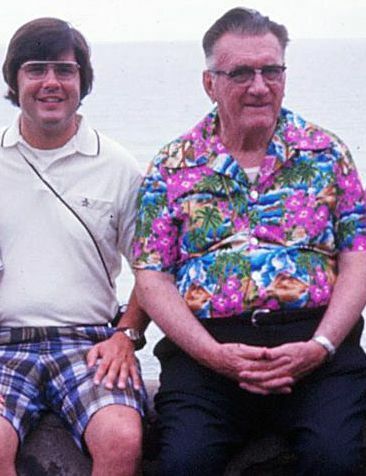 My Grandfather was determined to take Pat home. Sr. Gabrielle was just as adamant that she was going to stay in school. My Grandfather told the nun “You can blow your horn all you want but if you try and stop me I’m going to knock that bonnet right off of your head.” And he took my sister home. I have NO memory after that – cannot tell you what happened. It is a moment frozen in time. What a great stroll down memory lane. Thank you! Mt. Calvary shaped me into the person I am today and even though I live in Georgia now I am still so close to so many alumni. My older brother Mike, I, and our youngest brother Rob all attended Mt. Calvary and then McNamara High School in the 70’s. I have nothing but fond memories of both experiences. I can hardly fathom that Mt. Calvary will not be there forever. It is where we all started our christian walk, where we learned some of life’s most important lessons, fell in love with sports, participated in the pinewood derbies, teen club, drama club, May-day and Halloween parades, special hotdog lunches, hot pretzels, recess, and, in the case of my brother Mike, met his future wife and married her in that church. I am saddened by the lost, not unlike the passing of a close friend, but I find solace in the memories and the blessings that were, are and will forever be Mt. Calvary to me. A wonderful tribute. Mt. Calvary will always hold a special place in the hearts of many. Not only did students receive an outstanding education, but had instilled basic Christian core values such as dignity, self-respect, honor, integrity, compassion, and love of God and neighbor. It is a shame that future generations will not be afforded the opportunity of such richly rewarding experience. What a wonderful history and great legacy for Mt. Calvary. It is unlikely that a private grade school similar to it will ever be duplicated these days due to the cost and demographics. I am very thankful for the sacrifices my parents made to send me there as well as the sacrifices of all who taught at and ran Mt. Calvary. Thank you for assembling this tribute. My. Calvary’s nuns had a big job. They had a large group of “children” in the classroom who they had to keep in control for hours. I praise these ladies who gave their lives to God and to teach us. They had a very hard job even in the evenings after they got to the convent. They had to plan for the next day and how they were going to keep all these children’s attention. It’s a shame that we have to continue to bring up the rulers and spanking. We would not be the people we are today if we did not learn respect. We learned manners and basic decency. So, thank you ladies. I would love to come back to the school for some kind of a reunion before it closes. This is an amazing tribute! I wasn’t lucky enough to graduate from Mt. Calvary like my five siblings before me, but I was lucky enough to be taught for the first four years of my education. This was a wonderful trip down memory lane. I wish I could come back East and celebrate Mass while the school is still open, that would be a great way to remember what the school meant to my family. Thank you for the hardwork and time you took to bring all this together, there are 9 parkers that lived in Berkshire and grew up with the love of Mount Calvary.